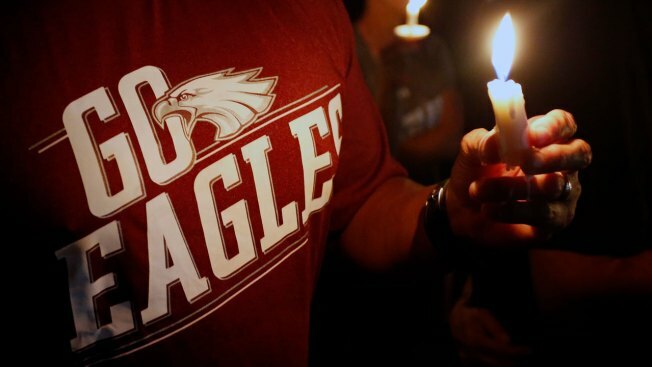 Just hours after the shooting, the high school students became impossible to ignore— riding their bikes to TV interviews, trolling politicians on social media and rallying around the cry of "Never Again." Gun-rights advocates also have emerged from Stoneman Douglas students, with Kyle Kashuv the most prominent. Almost overnight, students like Emma Gonzalez and David Hogg became household names. Behind the scenes, more than a dozen others — among them the three red-headed Deitsch siblings — worked to launch what would become a longer-term grassroots campaign. "I work 110-plus hours a week. I've been on three national tours, around the country in the last 10 months. I've been to 41 states plus D.C. ... This work doesn't stop," he said.